There are more moving parts to a movie production than a grandfather clock, and like a grandfather clock, each of those parts relies on the others to keep the project moving. One of the first things we did when taking on this production was for each of us on the team to list our experience, including what we could do and what we had not done. Knowing each team member’s individual capability helped to reduce uncertainties and build team confidence. Before this project, my background has been mostly based around theatre. Originally, the script was written as a play. I learned in a hurry that plays and movies aren’t the same thing! 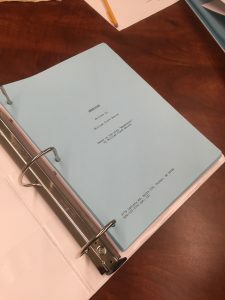 Knowing that our script was never going to be cinematically sound without help, I locked myself in a room for about two weeks with a team member experienced in film production. With such focus, we were able to revamp the playscript into a lean, movie-ready script. Creative projects are like volcanoes. Often times in the writing room, it can be easy to get frustrated and argue with others. However, these arguments rarely lead to anything productive. To make the best work, keep a cool head and an open mind. Creativity is NEVER a one-person-show. If you can’t work with other people, there is no way you will ever be able to create anything worthwhile. The best days of work were always the days where we successfully collaborated. One idea that unfortunately we later had to scrap came about during one such day. Three of us were in the writing room, and we came up with an idea to explain backstory through a series of flashbacks coming in reverse-chronological order. The idea was later put aside, not because it lacked value, but because we needed to further trim the script, and felt that telling this particular backstory was not necessary to the overall story of the film. Remember that grandfather clock metaphor? Well, think of the script as the biggest cog in your production. 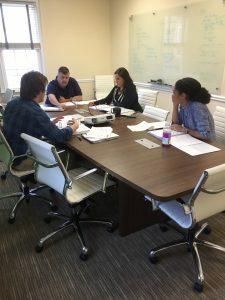 Schedule your writing meetings meticulously so you can finalize the script as soon as possible. Without a finalized script, you won’t be able to accurately cast for roles, send scripts to your team or your actors, properly scout for locations, or get props and sets ready. So much relies on the script being ready and on time. Scheduling a writing meeting once every two or three weeks will help your team meet deadlines and stay on target. This isn’t to say you need to rush your script. On the contrary, time and re-writes are absolutely necessary. But, if you are not kept on a consistent and vigilant schedule, you most likely are wasting precious time. During our pre-production, we learned this lesson the hard way, unable to really start putting together our team and getting actors ready until about a month before we started shooting. Location scouting is fun. That’s the truth of it. Going to new places, exploring, taking pictures—it’s great! However, when your locations are four to five hours away, travel can become exhausting. When scouting our main locations, we were excited to be shooting on the coast, but the long drive to and from location certainly made for weary days. A great way to get through this is by maintaining steady and interesting conversation with your fellow passengers, which builds trust and helps with collaboration! 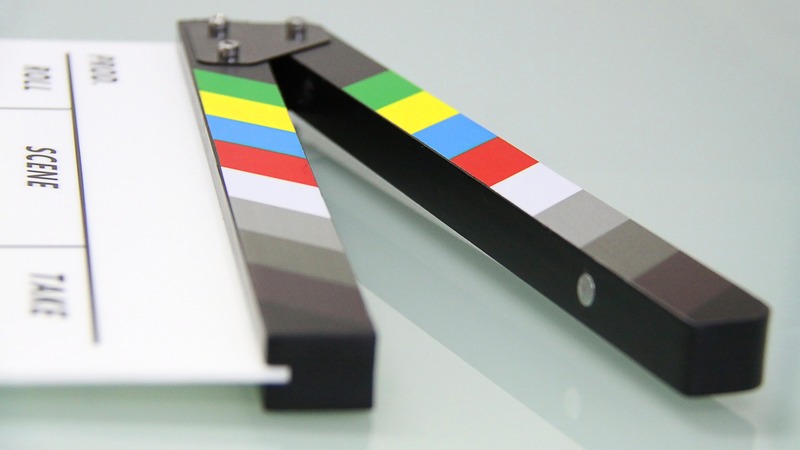 If you have the money and technology, an alternative to shooting on location is to use green-screen technology on set, and create or impose a location. Even though green-screen technology is flexible and can save time and money, in my opinion there is just nothing quite like shooting on an actual location. Breakdown Express is the main website for casting any project that requires a camera. About half of our cast submitted to us through that website. However, you can’t rely on a sole source for casting your project. There are other casting websites (IMDb Pro, Backstage.com, etc.) that actors scour for auditions. Also, contacting local agencies (if you can afford the agency fee) can prove beneficial for professional talent. At the end of the day, when it comes to casting, you should utilize as many options as you have available. As you can probably see, most of what we as a team had to learn was based around organization and trust—lessons that are applicable in any field. As we move into production, there will certainly be more learning opportunities for our team. Look out for more tips and lessons in the future! What questions or comments about producing film or videos do you have? Please share below.